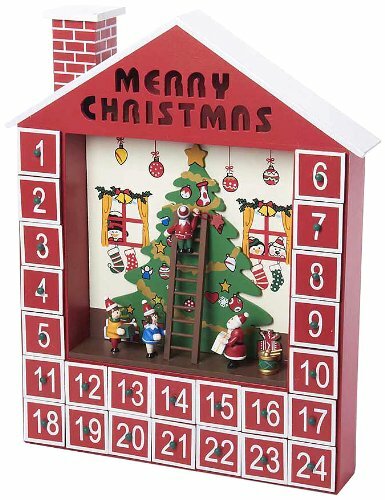 Count down to Christmas with this Kurt Adler 15" Wooden Advent Calendar. Shaped like a house, it has twenty-four drawers containing twenty-four miniature ornaments. Displayed in the middle of this red house is a scene showcasing little figures decorating a large tree with Santa Claus overseeing and snow critters at the windows peeking in.